Sir Mark Worthington was Private Secretary to former British Prime Minister Margaret Thatcher from 1992 until her death in 2013. He also served as Director of her Private Office and Director of the Margaret Thatcher Foundation. During that time, he was Lady Thatcher’s most senior advisor and dealt with leading politicians in both the UK and around the world. Sir Mark was a founding board member of the Bruges Group and a board member of Conservative Way Forward from 2006-2010. He is currently Chairman of the Freedom Association. He is an advisor to the Ronald Reagan Presidential Foundation and to the Margaret Thatcher Center for Freedom at the Heritage Foundation in Washington DC. Sir Mark is a member of the Court of Patrons of the Thrombosis Research Institute and of the board of the Hampden Trust. He also maintains close links with many of the charities supported by Lady Thatcher such as the Royal Hospital Chelsea and the Falklands veterans associations. 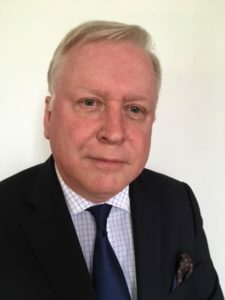 Sir Mark is now a business consultant specialising in government/public affairs/international advice and a company director. He was born in 1961 and has a BA Honours degree from King’s College London. He was awarded the OBE in 2005 and knighted in 2014.